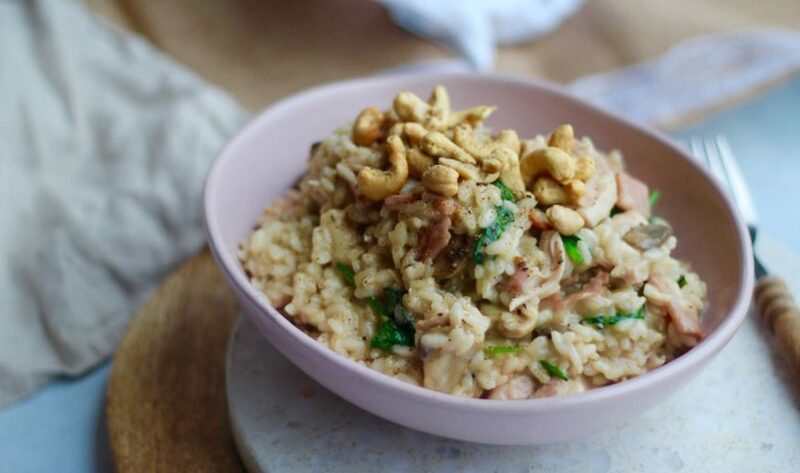 Super quick chicken and bacon risotto recipe (dairy free). Super quick chicken and bacon risotto (dairy free). 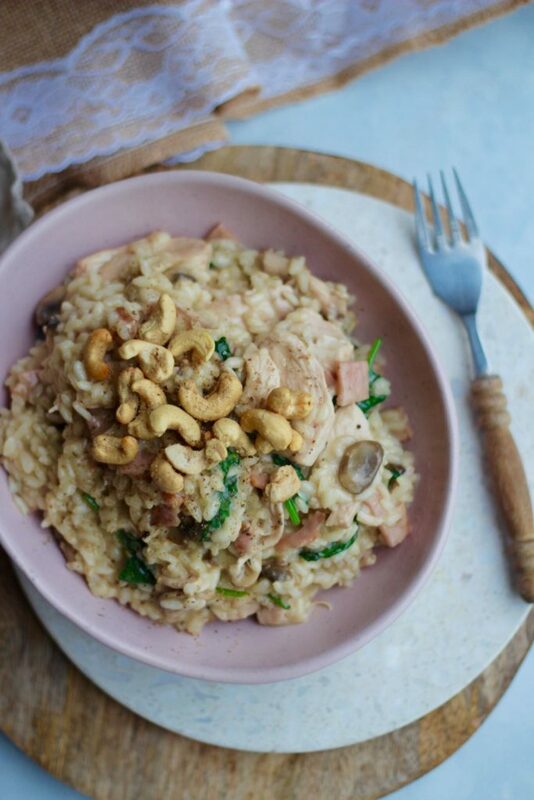 We impressed ourselves with this super quick chicken and bacon risotto recipe! It’s definitely a cheat risotto recipe and YAY becuase you don’t have to stir it for a million hours. We can confirm chicken, bacon, mushrooms and coconut milk officially make an epic food combination! This dinner was to die for! We cooked a big batch today to help us get organised for the launch of MerryBody. Our brand new Yoga and Pilates inspired workout program. It’s gonna be epic, if you’ve been feeling BLAH about exercise and your body, MerryBody is for you. It’s not just about movement and exercise it’s so much more. We launch in just over 2 weeks… ahh we are excited! YAY YAY YAY! 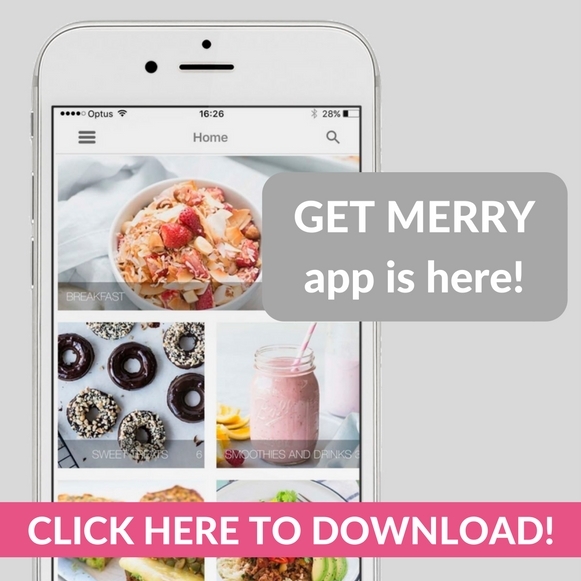 If you want to be the first to know about MerryBody and if you want a little taste test SIGN UP HERE to our 5 minute workouts. Ps. if you’re after a rice-free risotto checkout this cauli-rice risotto recipe! In a large saucepan heat the oil, add the onion and bacon, cook for about 3 minutes. Add the chicken and the garlic, cook for about 4 minutes or until chicken is almost cooked and starting to golden. Add the mushrooms, cook for another minute. Add the coconut milk, allow to simmer for about 2 minutes. Add the broth and bring to the boil, cover and reduce temperature to low, simmer for about 12-14 minutes or until the broth is absorbed and rice is cooked but slightly firm (al dente). Stir through the baby spinach, season with salt and pepper and enjoy! 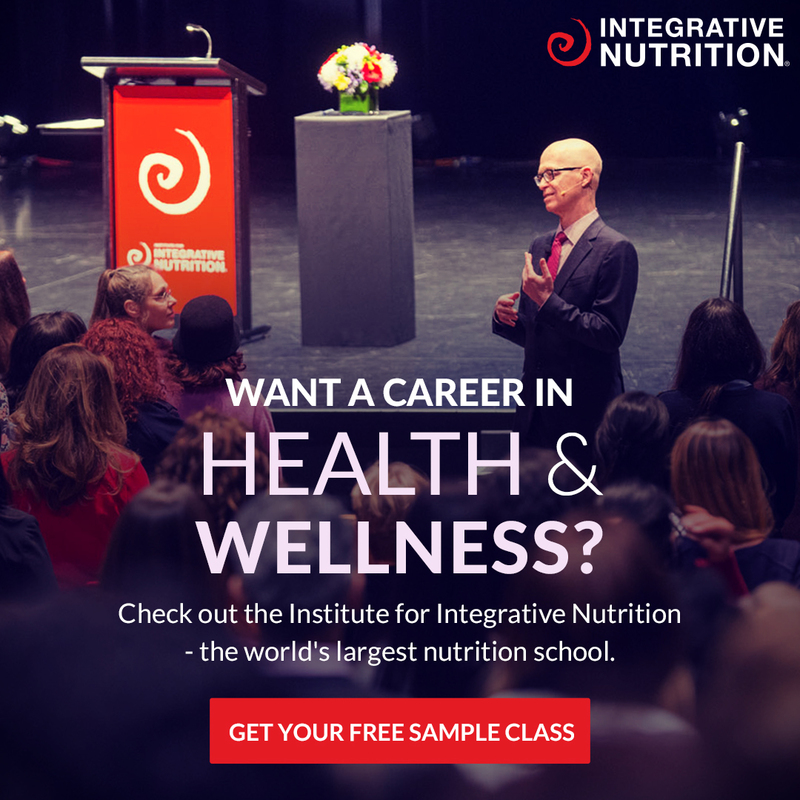 Top with cashews for extra delish factor!